Just when you thought having a glass of wine every day was safe and healthy, a recent report from the World Cancer Research Fund has found that women who drink as little as a half-glass of wine per day—about 10 grams of alcohol—could increase their chances of developing breast cancer by nine percent. Great. And just in time for summer! Now, this isn’t the first study linking alcohol consumption to health problems, increased cancer risk, or even breast cancer, but it may still raise some eyebrows. Moderate or light alcohol consumption, according to medical professionals, should be safe. In fact, it’s even associated with some health benefits like lower blood pressure. So what gives? Doctors have long said that a glass of wine or two—or a beer or two—per day won’t lead to any major health risks. But this new study shows that about half that amount could be a risk factor for breast cancer. 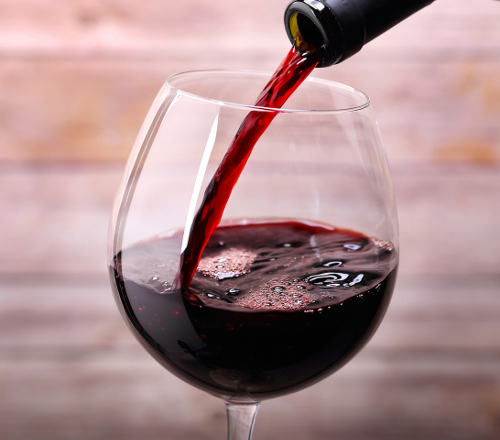 As alarming as that might sound, there are a few things to consider—and if you do like to have a few glasses of wine per week, you may not have to stop. The same report found that weekly vigorous exercise, like cycling and jogging, can cut the risk of breast cancer by 10%, essentially negating the risk caused by light-to-moderate alcohol consumption. A healthy diet that includes leafy greens like spinach and kale and more antioxidant-rich fruits and vegetables can also help reduce breast cancer risk. It’s also important to remember there are 18 medically identified factors that can influence breast cancer risk and alcohol is only of them. If you hope to lower your chances of developing breast cancer, you don’t necessarily have to eliminate alcohol, as long as you’re sticking to no more than two glasses of wine per day and maybe abstaining from alcohol a couple of days per week. However, if you feel that your other risk factors are pretty high, giving up wine likely won’t hurt. With that said, focusing on the other lifestyle risk factors you can control, like diet and activity, may be more effective and worthwhile. Roxby, P., “‘Half a glass of wine every day’ increases breast cancer risk,” BBC, May 23, 2017; http://www.bbc.com/news/health-39998678, last accessed May 23, 2017.